With so many wonderful travel destinations to choose from in Australia, deciding where to go can be a tough choice to make. However, with Melbourne and Tasmania easily accessible from each other in just over an hour plane, it is ideal to visit both cities on the same getaway. In the autumn months of March to May, these destinations offer a breath-taking backdrop to any holiday even for the most seasoned holidaymakers. Escape the city buzz and walk on the wild side. Located at the northern end of the Cradle Mountain-Lake St Clair National Park, this is where you can enjoy treks that wind through mountains, rainforests, wild rivers and alpine plains. One of Australia’s most famous bushwalking tracks, the Overland Trek, runs for 65km from the mountain to Lake St Clair. Looking for something more adventurous? You can explore the area on horseback, by quad biking or mountain biking. Or join fly fishing or boating tours on Lake St Clair, or wildlife tours such as the Tasmanian Devil Sanctuary. Tasmania is home to a large variety of habitats, thanks to its diverse and unique plant ecosystem. It is where you can discover some of the most ancient plant species on earth, the tallest flowering trees, oldest plant clones and a large proportion of endemic species. These include the Deciduous Fagus (Australia's only cold climate winter-deciduous tree found nowhere else in the world) and the Nothofagus Gunnii — Tasmania's only deciduous tree, with spectacular blooms in the autumn season. This tour begins at Freycinet Marine Farm’s shop at Coles Bay Road, where visitors get to explore the farm, guided by a local oyster farmer. Gear up and wade in the waters of Freycinet Peninsula to experience first-hand how oysters are farmed. You will get a chance to harvest oysters and learn to shuck them yourself. End the day enjoying your fresh harvest and cooked mussels, accompanied with local Riesling as you take in the farm’s scenic view of distant mountain range, The Hazards. Enjoy places and activities well-loved by the locals. Chill out at this luxe retreat completely powered by wind and solar energy, set on a private 52ha wooded peninsula surrounded by Great Oyster Bay. 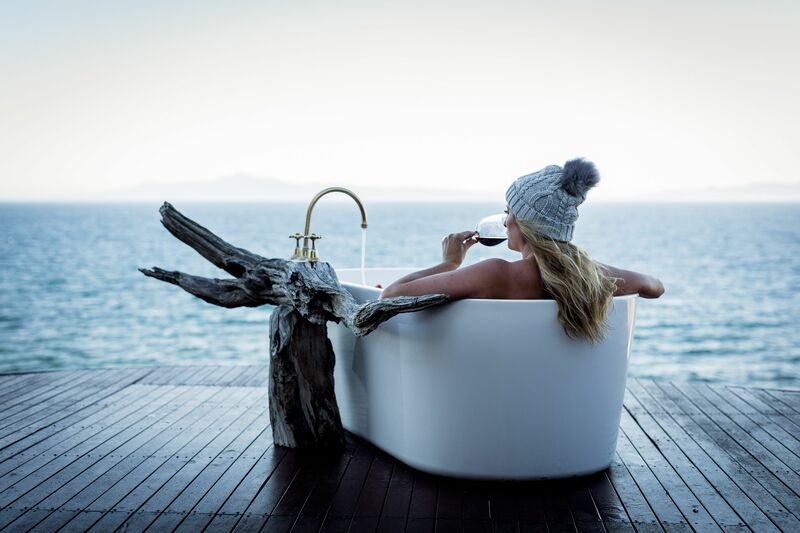 What’s note-worthy are its four ancient-stone bedrooms clustered around olive-tree courtyards on the ocean’s edge, and its famed bathtub on the deck with its own private beach (which has earned the title of the world’s best ocean-view bathtub). 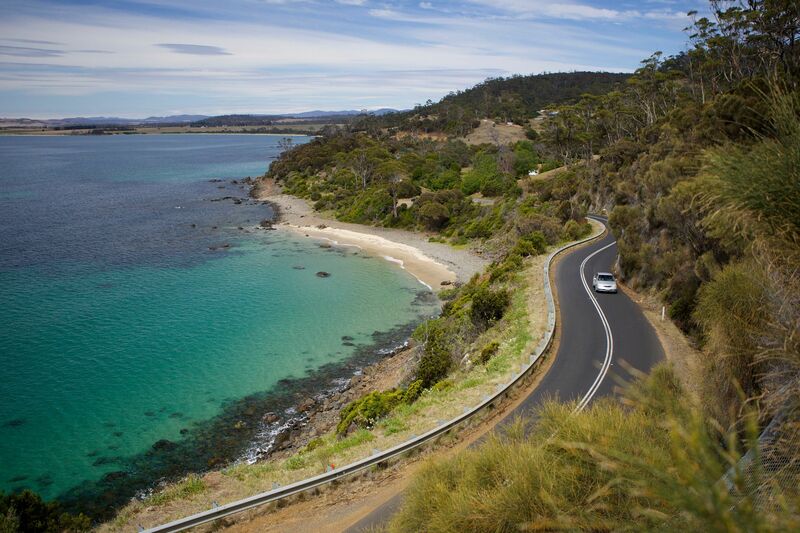 Its location is convenient for making day trips to nearby Wineglass Bay, Freycinet, Douglas-Apsley and Maria Island. Walk or cycle on the best-developed rail trail for the best sights of north-east Victoria. More than 100km of sealed road trails link you to the centres of Wangaratta and Beechworth, leading you to various cellar doors, cafes, craft brewers and restaurants. 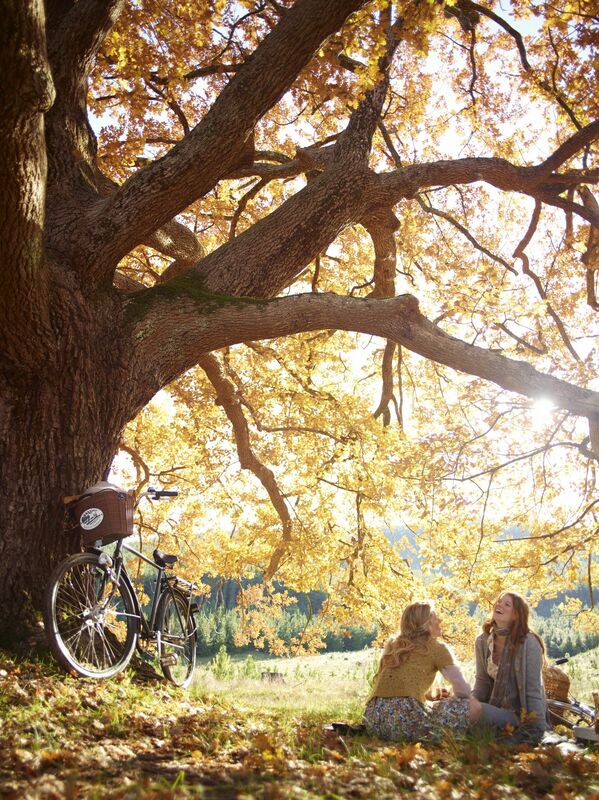 At each stop, you can follow Victoria’s well-known Pedal To Produce cycling routes for a more extensive experience. For instance, savour delicious pub eats and local wines at Beechworth, enjoy a craft beer experience at Bridge Road Brewery, and take in great views of distant mountain ranges at the iconic Rutherglen Wine Bottle in Rutherglen. 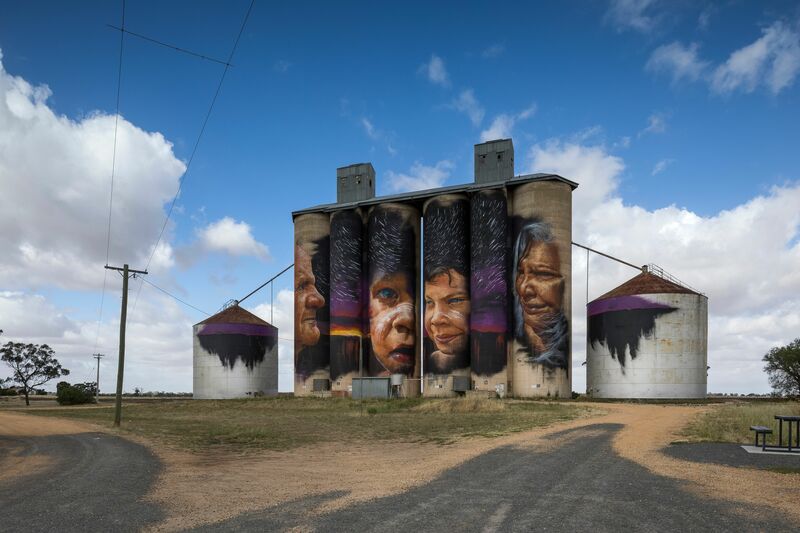 Visit Australia’s largest outdoor gallery — a collection of six wheat silos transformed by renowned street artists such as Fintan Magee and Matt Adnate featuring large-scale murals depicting local culture and community. Each silo, many of which date back to the 1930s, tells a unique story about the host town. The Rupanyup Silo by Julia Volchkova is the closest to Melbourne. It is 300km away, so it takes about three-and-a-half hours to reach by car. Alternatively, visitors can stay overnight in the Grampians and start their journey from the towns of Halls Gap, Stawell town or Ararat. Guided day tours are available via Grampians Wine Tours; you will experience stops at all four silo art locations and enjoy a selection of meals and snacks. 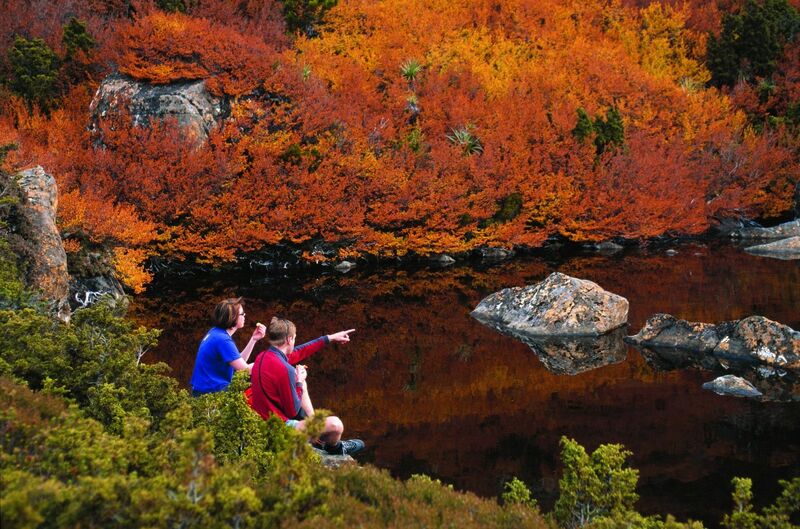 Celebrate fall colours and the delicious produce of Victoria’s Alpine High Country at this festival. The event features a highlight every day, such as the Gala Weekend which involves a market, music in the streets and a grand parade. Also expect performances by live bands, craft displays, the Autumn Festival Parade, market stalls, food, children’s entertainment and buskers, and an art exhibition. Don’t miss this festival with a series of events that makes dining a holistic experience. Not only will you get to savour local delicacies, fresh produce, craft beers and artisan wines, you can also visit local food and wine producers. With Rolling Gnocchi bicycle tours to learn how to make and enjoy pastas as you cycle through Myrtleford and go on wine-blending sessions. Get ready for amazing experiences off the beaten track. Embark on the Great Eastern Drive for the road trip of your life. At 176km long, it stretches between Orford and St Helens on the east coast. Discover the world’s best beaches, some of Tasmania’s finest vineyards, the region’s fresh produce and seafood, and famous national parks along the way. Mayfield Bay is popular for camping, fishing, swimming, surfing and diving activities. Take to the skies for stunning views showcasing the immense beauty and vastness of the landscape, from Wineglass Bay framed by white beaches, to the commanding granite peaks of the Hazards mountain range, and the vast waters and jagged cliffs of the Tasman Peninsula. You will also catch a glimpse of the unexplored South West Wilderness, which is a short distance away from Hobart. Open all year round, the road starts at Wangaratta in northern Victoria, crosses the Australian Alps and ends at Metung, a postcard-perfect village on a narrow sandy peninsula on the shores of the Gippsland Lakes. Along the way, stop by the historic Beechworth and the King Valley and Rutherglen wine regions. The more adventurous can hike in Mount Buffalo National Park and ski at Mount Hotham and Dinner Plain. Love the ambience of a vineyard? Stay in one at this well-known winery located only two hours away from Melbourne. Wine lovers will be excited to discover that the establishment houses Bendigo's oldest winery, which is famed for its Cabernet and Shiraz. 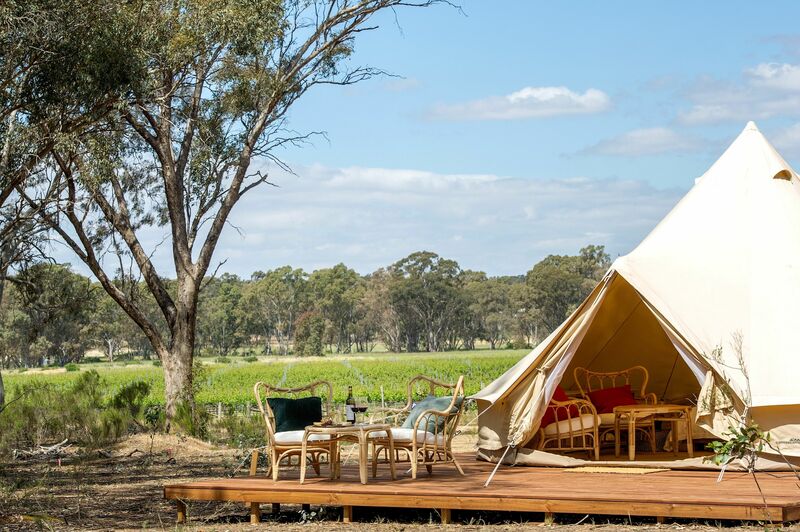 The luxurious accommodation also features tents with queen-sized beds and air-conditioning, with excellent views of the Bendigo vineyards. Don’t forget some time for retail therapy to satisfy every shopaholic’s desires. This is one of the highlights of Hobart. The market is open every Saturday (except Christmas Day or Anzac Day) from 8am to 3pm at the historic Salamanca Place. It is Tasmania’s most visited market and it has won many accolades, including a silver award at the 2018 Tasmania Tourism Awards. 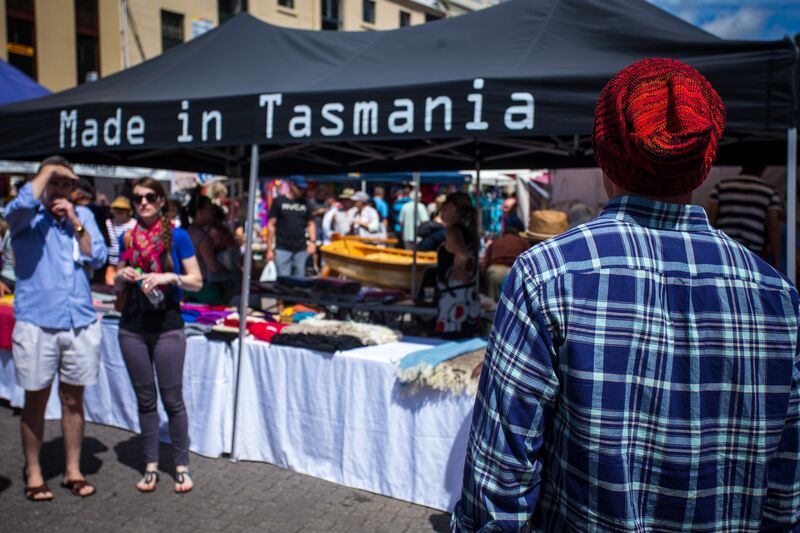 Expect about 300 stalls selling fresh produce, crafts and food items, with many of them unique to Tasmania. You will find meat pies and pasties, German Bratwurst sausages, wood-fired pizzas and handcrafted paella all in one place. Just 10 minutes away from city centre, this is Melbourne's longest running market with 150 stalls selling fresh fruit and vegetables, specialty foods, clothing, kitchenware and stationery. Sit back, relax and refuel at one of many restaurants and cafes, and discover a full calendar of live music, events and activities.It is closed on Monday and Thursday. In summer, the market opens till 9pm on Friday. Qantas offers a wide selection of flights with attractive fares from Singapore to Melbourne or Tasmania. It also offers the most number of domestic flights between Melbourne and Tasmania, which are about 75 minutes away from each other. So making a trip to both cities is convenient and offers bang for your buck. Visit qantas.com for more information on travel dates and flight deals.